I am checking out a digital book using the WCCLS catalog, but I'm not able to get the title. We include our downloadable e-books and audiobooks in the WCCLS catalog, and some users like to check out those digital titles from the catalog. This FAQ explains how to get these digital titles from the catalog. 2. Click on the Check Out button. 3. Select the format you want (how to choose) and click on Check Out Now. 5. 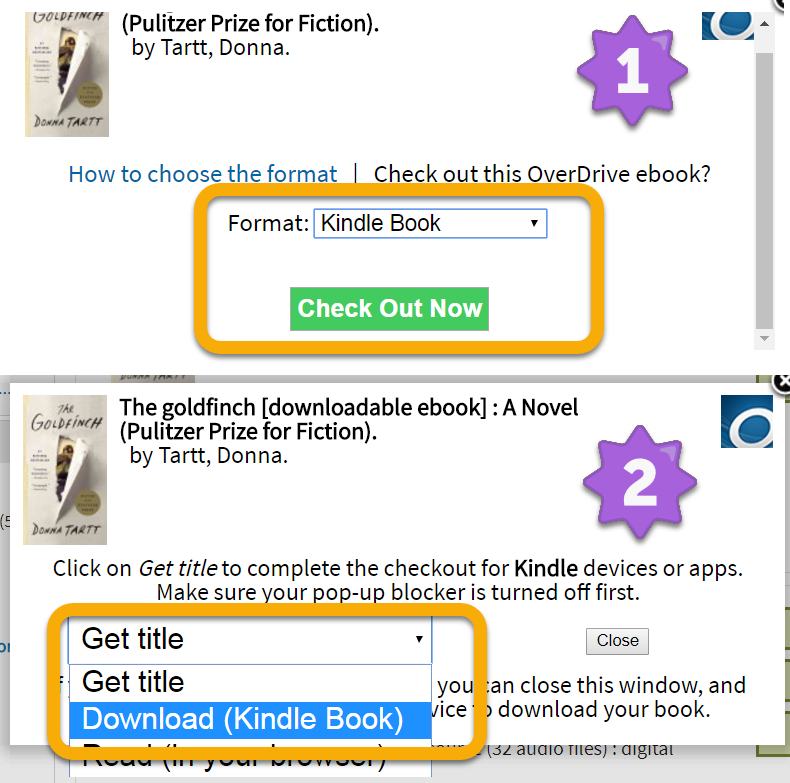 If you are downloading Kindle format, a second tab or window will open in your browser, prompting you to log in to Amazon and send the title to your Kindle. 1. Visit wccls.overdrive.com and log in to your account. 2. Click on Loans under My Account. 3. Click on Get Kindle Book. 1. Open the OverDrive or Libby app on the device you read/listen on, and go to the Loans on your Shelf. 2. Open the book in the app.